September is being celebrated as the Season of Creation in some congregations. There is a lectionary for this season. I hope one day soon to post ideas for this important season. For now find resources at Seasons of Creation. It is amazing how big an impact the calendar has on how we use the lectionary. Last time around in 2012, these texts came on the second week in September which in many North American congregations is the beginning of the program year. In that situation all the texts about care of the poor were less useful than the gospel with its call to Open Up! This year the texts fall on the first Sunday of September which in the USA is Labor Day Weekend. The texts about the poor challenge business people to rethink how they employ and treat the poor. To meet these different emphases I have included suggestions that would fit each calendar. Gives you lots of choices. > If you worship focus is on treatment of the poor, it is hard not to use pictures of marginalized people. They remind the adults of all the people they overlook every day and they provide the children with specific examples of the general terms (the poor, the oppressed, etc.) that appear in many of the texts. They also translate biblical terms such as “the beggar at the gate” into today’s images of beggars along the highway. So, I suggest using pictures in a variety of ways and hope you will use one of them or be led to use such pictures in a different way. > The central prop for this service is tattered clothing. 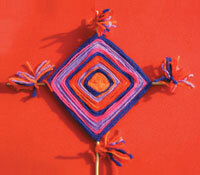 A set of tattered clothes could be hung on a hanger on a clothes rack at the center of the worship area. Several sets of worn out holey shoes and boots for people of all sexes and ages could be lined up on the floor in front of the Communion Table. > This is a collection of sayings. Today they might be tweets or sound bytes. To separate them have each one read by a different reader. The readers might be from a youth church school class or the members of the mission committee. > Adults easily follow the threads connecting these sayings. But since each saying includes details that must be explained to children, it is better to select one or two sayings to highlight with them. Verse 2 is one good choice. 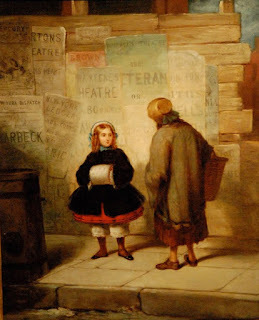 To explore it display the painting of the rich and poor girl. Discuss the differences in the two girls and the similarities. Conclude with both being made by God, loved by God, God’s daughters. Or, choose more contemporary photographs of a rich and poor child with which to hold the same conversation. > To emphasize the importance of noticing people and animals around you who need your help, read only the beginning of How To Heal a Broken Wing, by Bob Graham. Read about the bird hitting the window and falling to the sidewalk where it is ignored by all the passersby. 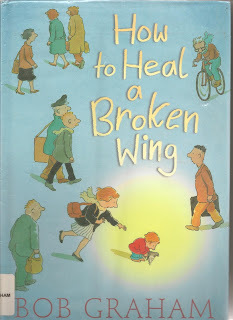 Stop with “Will saw a bird with a broken wing.” Even taking time to look at the pictures, this will take less than a minute. To avoid parental concerns about handling a wild bird in your home, do not read the rest of the book. Simply report that it tells about Will and his family caring for the bird, then redirect attention to the fact that their care began with Will noticing and responding to a bird with a need. Encourage worshipers to be as alert as Will. > God’s eyes are usually displayed as a reminder that God is keeping watch. Today, use it to encourage worshipers to look at all the people they meet every day with the same eyes God does. When we do that we see people God created and loves. This psalm includes lots of historical references that need explaining and several theologically complex ideas. I’d work explore the other texts for this day with the children in mind. > The TEV replaces the lines about “vengeance” and ”recompense” with “God is coming to your rescue, coming to punish your enemies.” That change alone makes it the first choice translation for children to follow. > The Roman Catholic lectionary suggests focusing the reading on verses 7-10 which is the list of ways God cares for the marginalized. That keeps the focus on the theme of the service. I would add verses 5 and 6 simply to complete the list without going into the description of human leaders in the early verses. 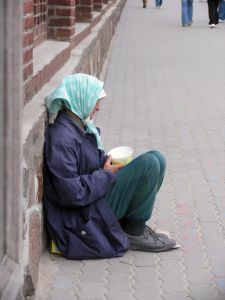 > Verses 5-10 list what God does with emphasis on the care of the marginalized. To make the list even clearer, replace all the he’s with “The Lord” or “God.” Include the congregation in reading the psalm by either having different halves of the congregation read alternating statements saying “the Lord” with great emphasis or having the congregation say “The Lord” with a leader completing each phrase. To really share the psalmist’s praises, read the psalm early in a service exploring God’s care of the marginalized then reread it near the end of the service – with feeling. > Find pictures depicting the people in each phrase. Project them as the phrases are read. Or, print them poster size and write the phrase that goes with the picture on the back of it for readers to read as they display the phrase to the congregation. The reader could be a worship leader or a collection of worshipers of all ages enlisted as readers. > The somewhat hokey choice of reader for this is of course a man dressed shabbily. Adults will snicker and see past it. But it helps the children get the point visually and clearly. 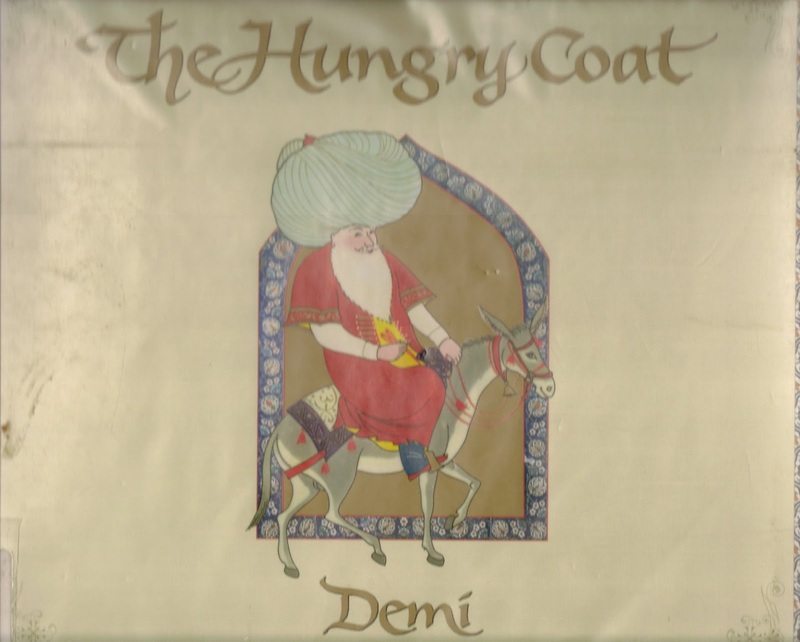 > The Hungry Coat: A Tale from Turkey, by Demi, is a colorful parallel to this story. Nasrettin Hoca, a wise old man, stops to help people deal with a goat and so has no time to go home and change clothes before a feast. When he goes to the feast in his patched, smelly coat, everyone ignores him and he is offered no food. So he goes home, cleans up and dons a magnificent coat. When he goes back to the feast and is welcomed in grand style and offered the best food, he begins putting pieces of food inside the coat saying “Eat coat, eat.” Asked about this, he says that when he came in his old coat he was given nothing but when he came in this coat he was offered food. He can only assume that his kind host felt that this coat must be hungry. Everyone at the feast laughs at themselves and praises Nasrettin Hoca’s great wisdom. The book is too long to read in its entirety, so briefly tell the simple story in your own words and start reading with “A servant ushered Nasrettin into the banquet hall, and his smiling host…” continuing to the end. Even taking time for dramatic flair this part of the book can be read in fewer than five minutes. Though it could be shared in a children’s message, it is worthy of the “real” sermon and its presence there suggests to children that the sermon is for them too. 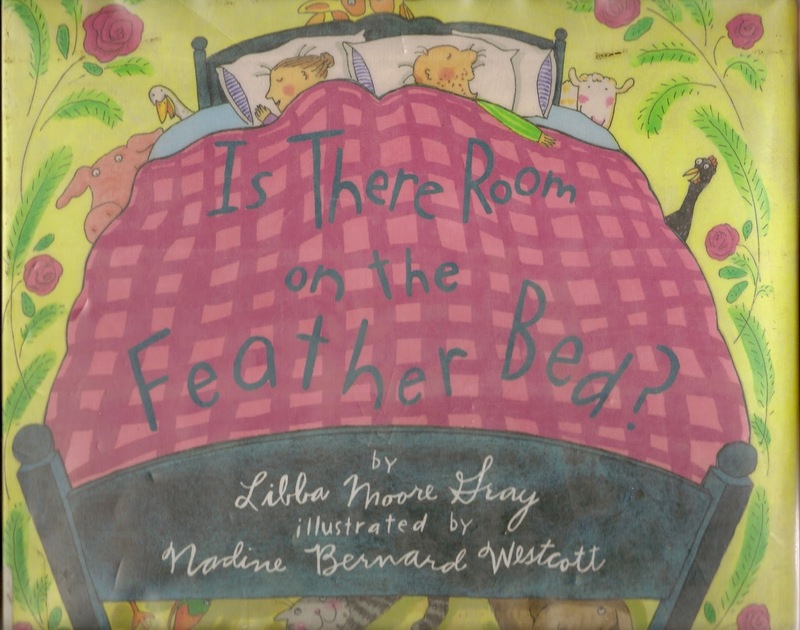 > A shorter but less precisely matched book is Is There Room on the Feather Bed?, by Libba Moore Gray. On a stormy night animals one by one ask to be let inside to join a farmer and wife in their warm dry bed. All are welcomed though the bed does get crowded. When a skunk arrives and is admitted, all the animals and the farmer flee. Back out in the storm, they decide to join the skunk where it is warm and dry. (Reads aloud in 8 minutes). 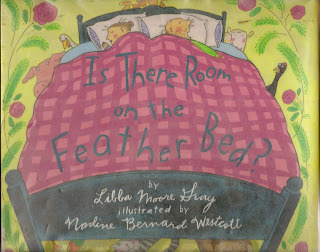 Some adults will see the feather bed as a metaphor for the church. But, most children will simply take in the wisdom of including everyone, especially in a storm. > James is not so much encouraging people to buy the shabbily dressed man a new coat, as he is asking them to treat the man with the same respect they would offer a well-dressed man. Learning to do that in a culture that separates and creates fear between the richer and the poorer requires practice. Highlight ministries of your congregation that families can share in to get this practice. In my community all the churches take turns hosting homeless men overnight during the cold months. Families are urged to cook and serve together and to stay to play board games and visit with the men. It is scary the first time, but the fear soon evaporates. Telling stories of such ministries in detail, maybe asking a family including children to tell about their experiences, prods others to get involved. This is my sketch. Feel free to use or edit for use in worship. > If you are observing Rally Day (I know, not likely on Labor Day Weekend) or the beginning of programs for the academic year this week, this is your passage. You might even want to juggle texts to move this gospel reading to the Sunday on which you WILL begin the new church school year. It includes two healing stories. Both include the healing of Gentiles. 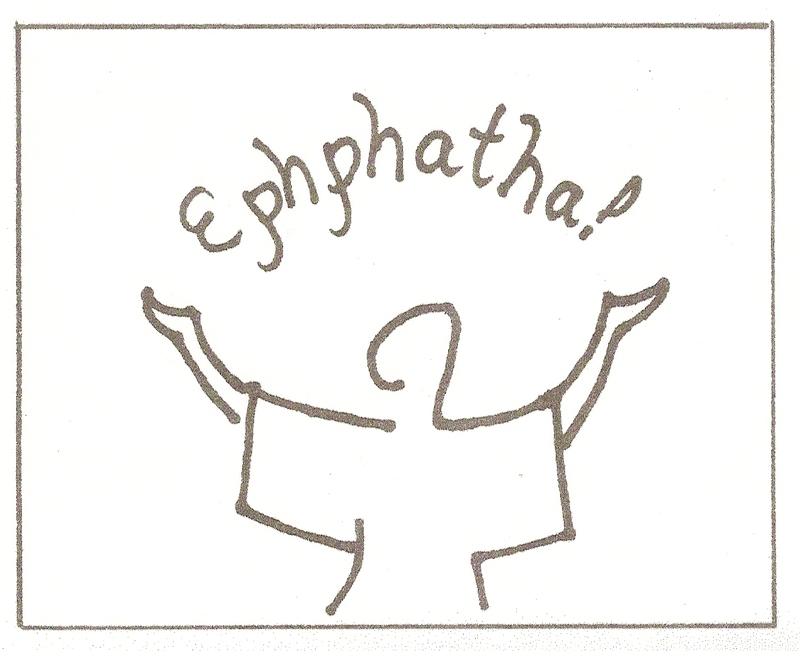 In healing the deaf-mute man, Jesus uses the Aramaic word “”Ephphatha!” which means “Open Up!” Jesus was telling the man’s ears to open up. But, Mark was telling his readers to open up to the possibility that Jesus was the messiah and that Jesus reached out to more than just other Jews. It would also be possible to suggest that the Syro-phoenician woman was telling Jesus to open up to caring for her and her daughter. All that leads to calling church members today to open up to new possibilities for learning and growing at the church and in other parts of their lives. Use opened and closed motions in prayers. Closed motions include clenched hands, arms folded across chest, hands over ears (or eyes), frowny facial expressions illustrate ways we refuse to open up. Open hands, arms opened out or forward, hands cupped behind ears to hear or over eyes to see better, and open facial expressions illustrate ways we open ourselves to God’s word and each other. These motions and matching prayers could become the prayer of confession or could be used to craft petitions for more openness. > If you read both stories in this passage, have them read by two different readers, maybe even reading from two different places, to highlight their separateness. Verses 24-29 are read by a woman, possibly a woman with different ethnic background than the majority of the congregation. Verses 30-37 are read by a man. 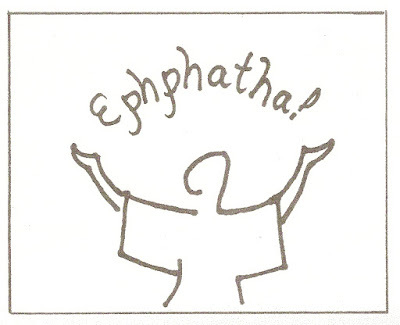 > If you work with both healing stories and are not following the Ephphatha theme, this is a good opportunity to highlight the ways your congregation makes its buildings accessible to people with handicaps. We may not be able to cure them, but we can make sure they can be full participants in everything the church does together. For the children demonstrate as well as simply name the accessibility equipment. Put a child in a wheel chair and roll her to worship leadership area. Ask someone using a hearing device to prove that he hears you from where he is sitting. 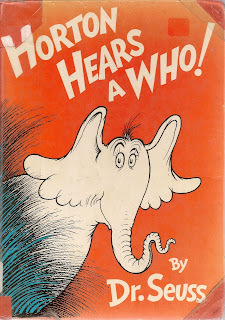 > Children need to be told that in Jesus’ day people had not yet learned about mental illness. When people acted strangely and seemed crazy, they thought little evil demons had taken over their minds. Today we know that our minds can get sick. We are just beginning to learn about how that happens and how mind illnesses can be cured. This mother’s daughter was doing and saying things that were not normal. Imagine how happy she was to go home and find her child sitting up in bed and greeting her as any child greets her mother. > Most children (and many adults) assume that Jesus always knew everything and always got everything right. This story suggests that part of being fully human meant that Jesus had to learn and grow. With the children list some of the things Jesus had to learn how to do, like walk, read, use a saw in his father’s carpenter shop, the rules games kid’s played. Then, dig into this story. Maybe Jesus had had a bad day, maybe he was still living on a prejudice he had grown up with. In either case, he had to change his thinking in order to respond to the mother with a sick daughter. Insist that what is important is not that Jesus got it wrong at the beginning, but that he listened to the woman, changed his mind about helping her and stretched himself into a more loving person. Our challenge is keep growing like Jesus did. > Think about the woman and her daughter in this story rather than Jesus: This woman was fierce, she did not let anything or anyone get in her way to get her daughter healed. She was on a mission. Her fierceness and determination impressed Jesus. They got her what she most needed and wanted – healing for her daughter AND they may have changed Jesus’ mind about who he was sent to save. We don’t often encourage children to be determined and fierce in their faith, but fiercely determined faith sometimes changes the world. This is an opportunity to raise up that fact. to give you an idea of how to make the face. > Start a conversation about fierce faith by making fierce Maori faces. 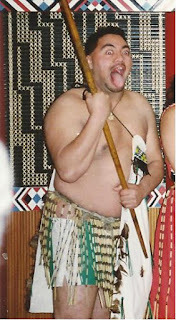 To express their determination the Maori tribes of New Zealand bug out their eyes and spread their tongues as wide as possible. Have fun making such a face and inviting worshipers to do likewise. Then describe the fierceness of the woman who did not make such a face but was just as fierce when she wanted Jesus to change his mind about healing her daughter. Conclude by listing some issues over which fierce faith is needed today – maybe protection of the poorest, justice for all, racism, etc. – and challenging worshipers together to make fierce faces supporting their determination to be fiercely faithful about each issue. > At a community Halloween gathering last year I saw a Grandmother - Granddaughter duo wearing matching Wonder Woman costumes and the most serene, self-confident smiles you can imagine. They were African Americans and clearly knew themselves to be Wonder Women. I suspect there is a connection between them and the mother and daughter in this story. That biblical mother was definitely Wonder Woman for her daughter. I suspect she also taught that healed daughter that she too was by nature a wonder woman and could rise to any situation needed. They were fierce, capable wonderful women created by God. And, of course they lead me to remember all sorts of Wonder Women I hear of around the world and know in my own life. Little girls and mothers need to soak up these women. > Jesu, Jesu, Fill Us With Your Love and Jesus’ Hands Were Kind Hands are very child friendly hymns to sing today.